The Comp is the cheapest bike in Scott’s 2012 Scale 29 range, yet it shares the same geometry as the flagship carbon model. So, provided the parts package is OK, it should deliver a high-performance ride. To keep the rear end of the Scale as short as possible, Scott removes the seatstay bridge and uses a kinked seat tube to tuck in the rear wheel while still maintaining the necessary clearance between the tyre and front mech. The end result is a relatively short 440mm chainstay length. It’s still 10-15mm longer than most 26in wheel bikes, but it’s enough to make it easier to lift the front end out on the trail. The kinked seat tube isn’t without its drawbacks, however, the main one being that it limits saddle height adjustment to about three inches on the medium-size frame. To add some comfort to the rear of the bike, the lower sections of the seatstays are flattened where they meet the hollow forged dropouts. Also, by integrating the rear brake mount into the lower section of the dropout, Scott can use thinner seatstay tubing and further improve rear end comfort without compromising strength. The Suntour XCR 29 fork has so much play in the bushings that it feels, and sounds, like the headset is permanently loose as you literally rattle your way down the trail. There’s also a nasty top-out knock to accompany it. There’s no rebound adjustment either, but at least the lockout lever offers some compression tuning, which results in 100mm of travel that’s surprisingly effective at taking the edge off the roughest trails. Narrow XC rims help offset the increased rotational weight of the bigger 29in wheels and proved strong enough to take a beating, even if they aren’t the ideal companion for the relatively wide 2.25in Schwalbe Rocket Ron tyres. Once again, hub bearing quality is a letdown, even if it’s fitting of the price point. Sharing the same Shimano Alivio/SLX gear combination as the Specialized Rockhopper Expert, the Scott’s drivetrain is joint best in test. The Tektro brakes proved more consistent than the Avids, but the additional lever travel gives them a distinctly on/off action and they don’t match the modulation and feel of the Shimano M446s. Race by name, race by nature: the Scott saddle needs pairing with a well-padded short liner to bring a modicum of comfort on longer rides. All of the other contact points, however, are sorted and give the Scale a more trail-focused riding position than the saddle suggests. The riding position on the Scale felt great from the off, and it’s adaptable too, as the head tube is short enough to slam the stem for a full-on XC race set-up, yet there are enough spacers to raise it for a more heads-up trail riding position. With the stem raised, you can attack any trail, and the Scott shocked us with it ability to hang with more capable full-suspension bikes. Yes, the fork is a major fly in the ointment, and on a lesser bike it could easily have been its undoing. Fortunately for Scott, the clunking fork wasn’t enough to mask the superior ride quality of the Scale. Fast on every trail and in any riding conditions, the Scott Scale’s direct, efficient power delivery definitely reflects its racing roots, but the geometry and fit are more akin to a full-suspension trail bike, so the handling isn’t twitchy. No wonder it’s a total ripper. 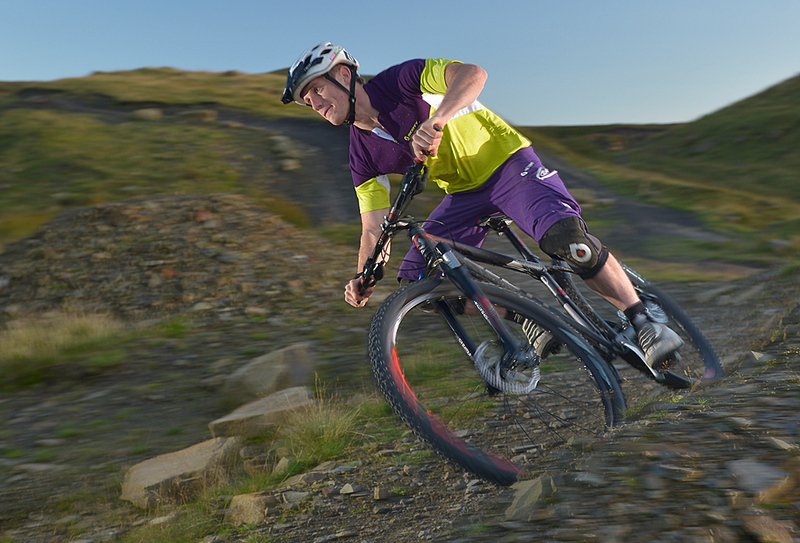 The Scott Scale is the only bike in this test that really encourages you to push your limits. In that respect, you could say it’s showing its race pedigree. But it’s also the most fun to ride, so there’s more to the Scale than simply putting the hurt on. The riding position is sorted, the geometry is dialled and the handling is second to none. Confidence-inspiring and fast everywhere, the Scott Scale Comp won’t hold you back as your skill level progresses. Unfortunately, the same cannot be said of the Suntour XCR fork. This test first appeared in the October 2012 issue of MBR.